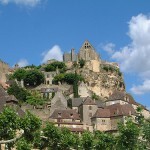 Provence is one of the most popular regions in France. Being part of the administrative area of Provence-Alpes-Cȏte d’Azur, this region is located in the south eastern part of the country. It is contiguous with Italy to east and the Mediterranean Sea to south and south-east. It is not surprising that Provence is one of the most beautiful and also most visited regions of France. Provence offers a remarkable cultural heritage: some of the well-known cities that are located here are Avignon, Marseille, Nice, Cannes, Arles and Toulon, not to mention the picturesque villages. As for the natural heritage, its border with Italy is the Maritime Alps, it has a wide mediterranean coastal line and several rivers flow through the region (the Rhone River, the Verdon River, the Var River). 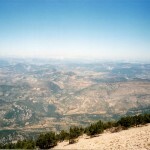 There are also numerous national and natural parks in Provence. Below we will present you some of these. Located in the Maritime Alps, it is one of the most beautiful national parks of Provence. The park runs for 80 km from Meyronnes in the north to Sospel in the south. This alpine park was created in 1979 and covers 685 km². Since then it had become very popular, being visited by 800.000 people every year. It has a rich wildlife. Besides the holm oak, the olive trees, the rhododendrons and the firs, there are more than 2.000 species of flowering plants, 200 of these being very rare, for example the edelweiss. The fauna is also verified: you can see here marmots, ermines, hares, Golden Eagles, numerous species of butterflies and also the Italian Wolves. The park lies partly in Provence, partly in the Rhone Alps, in the south-eastern part of France. 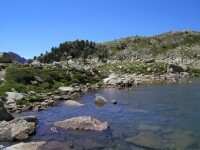 It is also an alpine park with glacier fields and valleys, subalpine woodlands and lakes. Having over 700 km of marked paths, it is very popular with hikers. 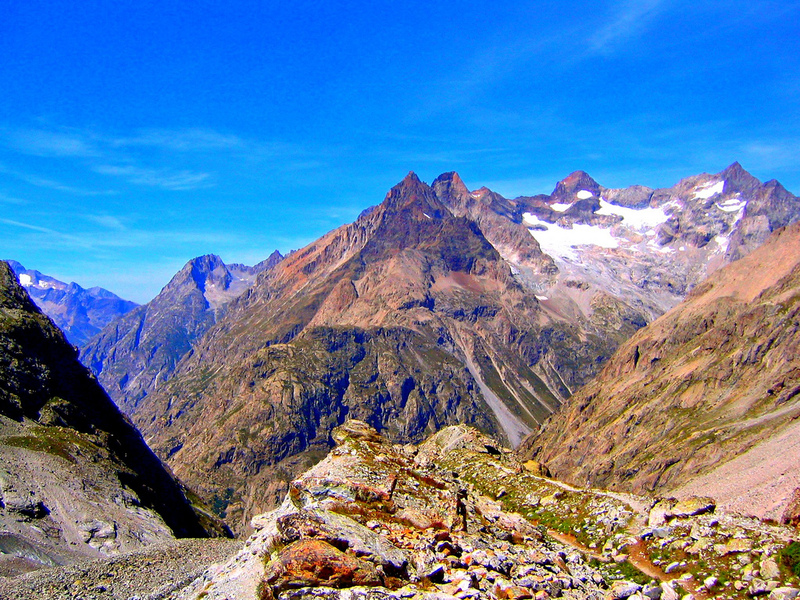 Its highest top, La Berre des Ecrins, is 4101 meters high. One of the most beautiful natural parks of Provence, the Verdon Natural Park is located in the south-eastern part of France, in the Alpes-de-Haute-Provence. The park is named after the Verdon River, that flows through it and of which erosion action created a canyon. 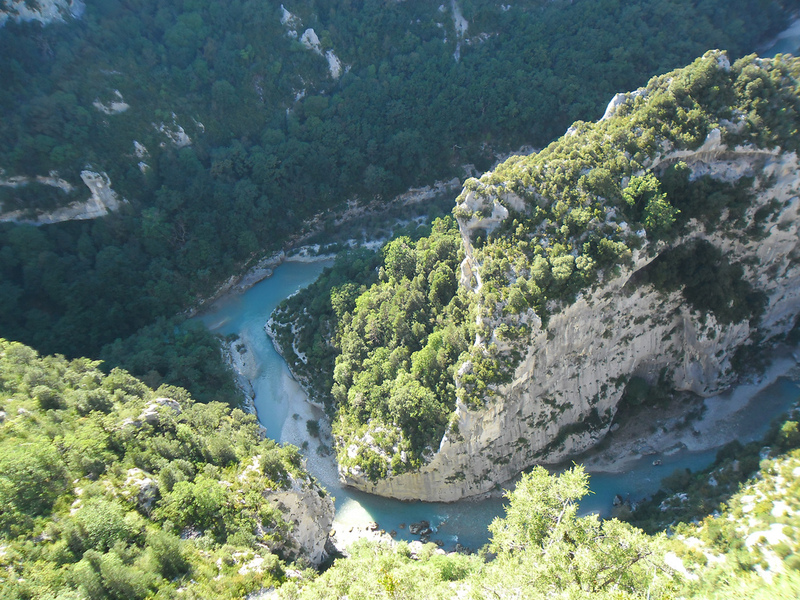 The Verdon Canyon is considered Europe’s biggest and most remarkable canyon. It is very popular for adventure sports, such as rafting or kayaking. This wetland is located in the southern part of Arles, more precisely between the Mediterranean Sea and the two arms of the Rhone River delta. The area lies on a surface of 930 km² and it is the largest river delta of Western Europe. Camargue is home to more than 400 species of bird, the most popular of these being the pink flamingos, but the area is also famous for its white Camargue horses. It is located on the mediterranean island of Port-Cros and it was founded in 1963. This coastal national park includes small areas of the mainland, too. It has an interesting visitor center. You can observe the typical mediterranean flora on the island, for example Aleppo pines or the island lavenders, but the real heritage of the park can be found in the sea. The protected area populated by rainbow wrasses, moray eels or the groupers is very popular with divers.